My that's a big grille you have. Update: An awesome new spy video from Automotive Mike on YouTube shows us the big Bimmer in action, torturing tires at the Nürburgring. Check it out above. 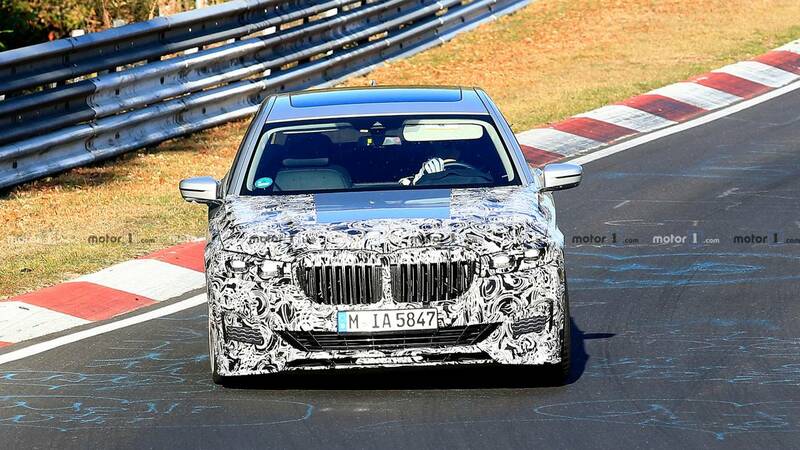 A mid-cycle facelift is coming for BMW’s big 7 Series sedan, and similar treatment will befall the Alpina B7. We caught this car briefly a few months ago on the Autobahn with camo wrap front and rear, but now our spy photographers got a much better look in a more natural setting. That would, of course, be the Nürburgring. We can see a bit of what’s in store for the big bruiser, not the least of which is that larger kidney grille up front. BMW models in general have seen the once small trademark grille grow over the years, and it will certainly be hard to miss on the new 7 Series. The headlights will also be narrower, which should only serve to emphasize that grille even more. The Alpina’s front clip might sport some unique features as well. Same for the rear, where now we see the proper quad exhaust tips poking out through the lower fascia. We aren’t expecting to see many changes inside. 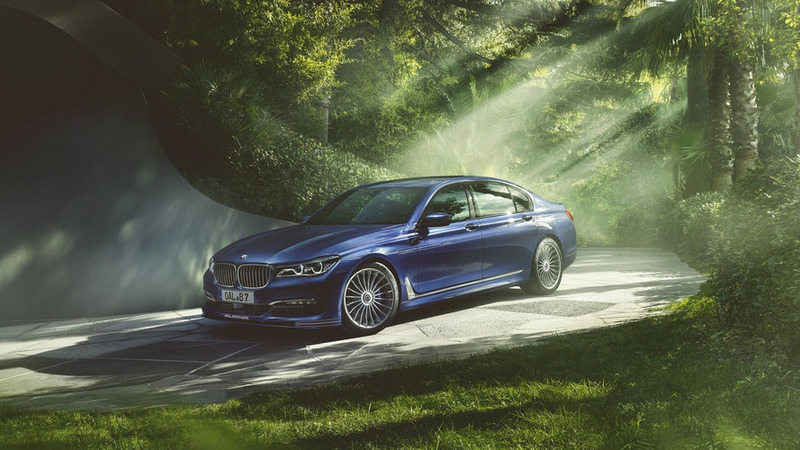 Of course, the Alpina will add some posh touches to the greenhouse in the form of various high-end materials and trim options. Alcantara, leather, aluminum, and wood will likely be part of the upscale treatment given to the already luxurious 7 Series. What might happen under the hood? That’s still quite a mystery, as we haven’t heard anything about upgrades. Given this is a mid-cycle refresh it’s entirely possible the current configuration could carry over unchanged. That wouldn’t be the least bit disappointing, considering the current B7 packs a 4.4-liter twin-turbo V8 churning out 600 horsepower (447 kilowatts) to the rear wheels. With such power on tap it’s basically the M7 that BMW won’t build, but a simple remapping of the engine could give the refreshed B7 a bit more power to play with. 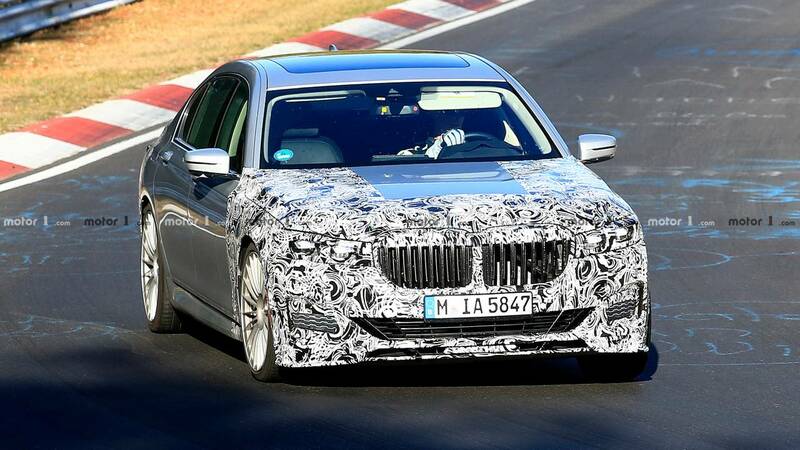 Right now the new 7 Series is slated for a debut in March at the Geneva Motor Show. 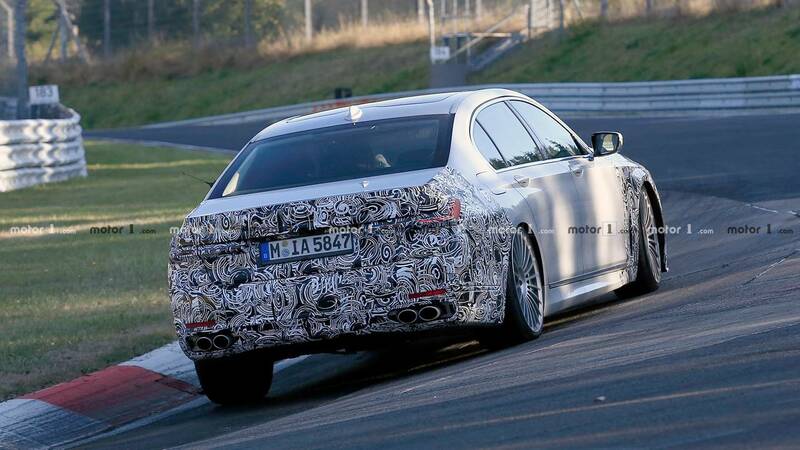 It’s a reasonable bet, then, that the Alpina B7 will also be revealed at the same time.